Despite a massive cyberattack on its website, WikiLeaks has published the first batch of nearly 300,000 emails from the Turkish ruling AKP party’s internal server and thousands of attached files in response to the Ankara government’s widespread post-coup purges. Some 294,548 emails pertaining to Turkish president Recep Tayyip Erdogan’s Justice & Development Party (AKP) were made public on Tuesday at 11:00pm Ankara time. “WikiLeaks has moved forward its publication schedule in response to the government's post-coup purges,” WikiLeaks said in the release. “We have verified the material and the source, who is not connected, in any way, to the elements behind the attempted coup, or to a rival political party or state,” added the whistleblowing site, which has previously insisted that it is neither pro- nor anti-government, but rather serves "the truth". WikiLeaks says that the release of almost 300,000 email bodies together with several thousand attached files, is just part one in the series and encompasses 762 mailboxes beginning with 'A' through to 'I'. 1) @Wikileaks teases that they'll soon publish 300k emails from #Turkey's political leadership. All emails are attributed to "akparti.org.tr", the primary domain of the main political force in the country, and cover a period from 2010 up until July 6, 2016, just a week before the failed military coup. “It should be noted that emails associated with the domain are mostly used for dealing with the world, as opposed to the most sensitive internal matters,” the non-profit said. The NGO also revealed that one of the emails contained an Excel database of the cell phone numbers of AKP deputies. 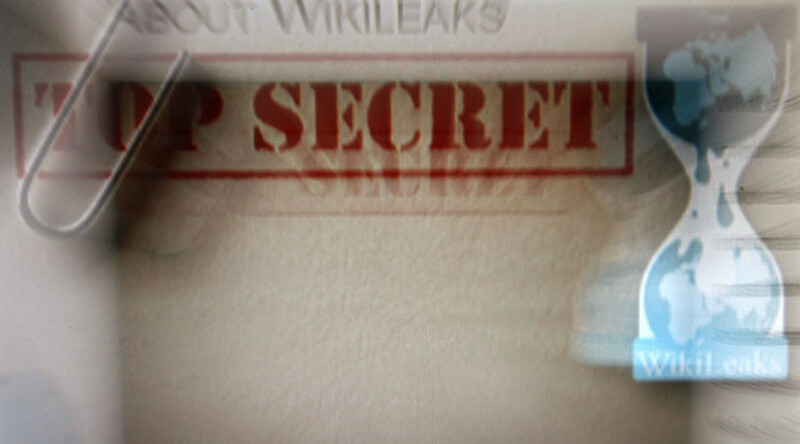 Prior to the release WikiLeaks suffered a “sustained attack” as it warned that Turkish government entities might try to interfere with the publication of the AKP material. The attacks are still continuing and users are experiencing difficulties in accessing the material. WikiLeaks reassured the public that they are “winning” the battle. Yes, we are under more cyber attacks, which we are winning, on and off. A few hours after the release, WikiLeaks tweeted a screenshot showing the database to be blocked in Turkey, claiming that Ankara "ordered [the release] to be blocked nationwide". Earlier the non-profit organization also asked the public to support their endeavor for sharing the information. “We ask that Turks are ready with censorship bypassing systems such as TorBrowser and uTorrent. And that everyone else is ready to help them bypass censorship and push our links through the censorship to come,” WikiLeaks tweeted Monday. The Anonymous hacktivist group released a statement of support for the latest Wikileaks exposure of AKP files, saying that it “suspect[ed]” the Turkish government to be behind the latest Wikileaks Ddos attacks. “We ask of the people in Turkey to take interest in the material Wikileaks is about to release and to not dismiss it because a leader tells them. We advocate the use of anti-censorship tools as Tor, I2P or VPN. We will do our best to translate those e-mails and documents for the international community to read and to provide a better understanding of the ongoing situation in Turkey,” the hacktivist conglomerate added. The government of Turkey is continuing its massive crackdown following a failed coup attempt during which more than 200 people lost their lives as fractions of the armed forces attempted to seize control of several key places in the cities of Ankara and Istanbul. Over 1,400 were injured over the course of armed clashes. In the wake of the failed takeover, thousands have been detained or lost their posts across the judiciary, military, interior ministry and civil service sectors. President Erdogan and his government blame the US-based cleric Fethullah Gulen for orchestrating the coup attempt.